My Expectations Were Low For Wireless Earphones. Will These Even Meet Them? 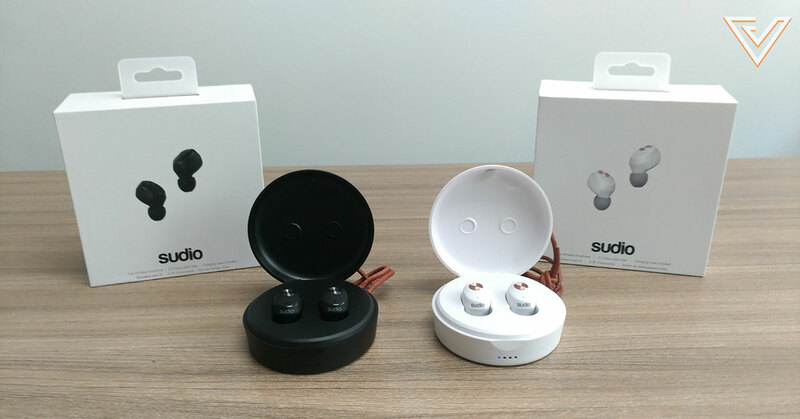 Sudio have recently released their Niva line of Bluetooth earphones, claiming them to be the first truly wireless pair made by the Swedish audio company. The Niva earphones are priced at RM425, and claim to fit into active lifestyles without compromising on good looks. In terms of audio quality, the Nivas fall on the high-end of the sound spectrum, with the treble a little overbearing at times. Editor’s note: The writer of this piece is a former audio engineer, and takes quality of sound very seriously. 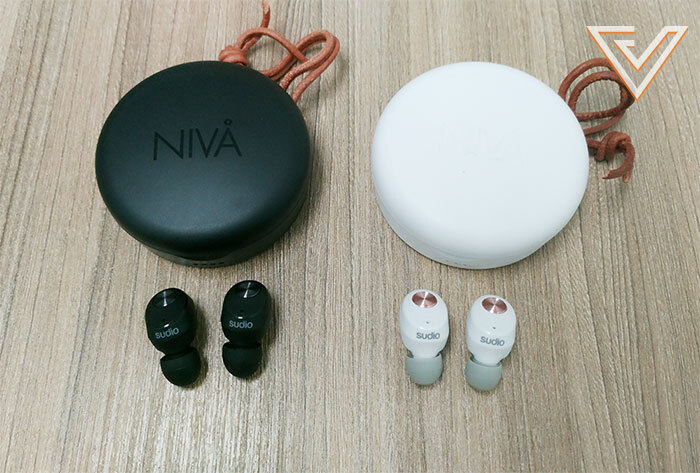 Recently, Swedish audio peripheral company Sudio sent us two pairs (one in black and one in white with rose gold accents) of their new Niva Bluetooth earphones—ones that they say are the first truly wireless earphones among their lineup of other Bluetooth-enabled audio wearables. 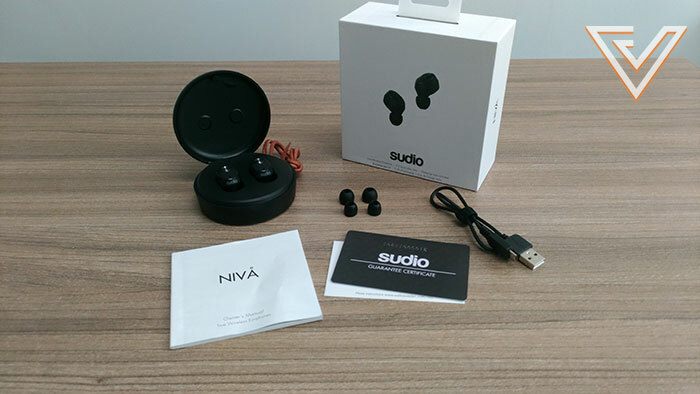 Claiming these to fit into wearers’ active lifestyles while remaining true to the trendy facade that’s become integral to the Sudio branding, the Niva earphones look prime to compete for a slice of the wireless earphone market that has seen a huge number of entrants in recent times. The Nivas come packaged in a simple white box complete with a carrying case that doubles as a charging dock. Along with it is an owner’s manual, a mini USB cable to power the case, a certificate of guarantee, and complimentary replacement ear tips of different sizes should you damage the pre-fitted ones. Upon unboxing, everything about these earphones looks great. 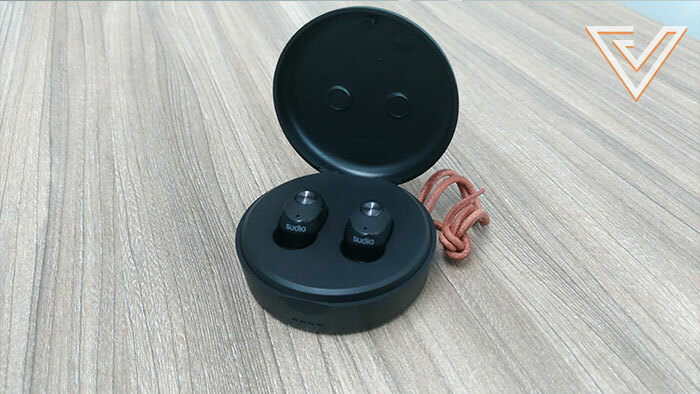 The case with its compact corners and rounded-off edges manages to be stylish yet unassuming, while the earphones themselves tout a sporty finish, with soft-touch plastic modules complemented by metallic buttons for the basic commands. Personally, these earphones have managed to evade the goofy vibes that often come with many other wireless competitors, and I’d have no problem wearing them anywhere. Right off the bat, the Nivas were easy to pair with other Bluetooth devices, with no additional app necessary (nor available) to access its features. In terms of comfort, the Nivas were easy on the ears even with the secure fit, with no slippage during moments of physical activity. Using the Nivas to receive phone calls was also a fairly hassle-free experience, with the inbuilt microphones doing a respectable job. The only small gripe I had with the design was the control functions that were done using the buttons located on the outward side of the earphones. These buttons were not touch sensitive and as such required actual clicks to register the fairly basic commands—one click to play/pause your music or answer calls, and two clicks to skip to the next song. This made it somewhat uncomfortable whenever I found myself wanting to pause or skip to the next track; the pressure upon my ear canals with every click felt unpleasant. In regards to battery life, the two plugs held approximately 3.5 hours of charge each, with the case being able to hold three more full charges at full capacity. Delving right into the sound itself, it’s very apparent just how much the Nivas are calibrated towards the high end of the frequency response chart, but not in the best way. Starting with low-end reproduction, the Nivas were slightly wanting. While it’s understandable to have an underrepresentation of certain frequencies on ear plugs due to drivers being more compact in size (what more with them running on batteries), the Nivas were still a bit weak when it came to bass. Throughout my listening sessions, I desired more body and depth and found myself going to my equaliser app to adjust the frequencies. Moving up towards the mids, the Nivas performed better, with vocal reproduction crisp and well-rounded, although still not as pronounced thanks largely to how much the high frequencies overpowered everything else—which was the biggest point of disappointment with these earphones. While I often enjoy a bit more of the high-ends during my music listening, I found the Nivas were overdoing the treble, resulting in a tinny and nasal reproduction for things like hi-hats and guitar solos. Going through various genres, from post-rock to EDM to fusion jazz, I consistently experienced the same thin—an excessive amount of brilliant tones being pushed into my ears. To be fair, my colleague who is less fussy about audio quality tried them on, and had no major issues with the treble, though she noticed it too. But there was one key redeeming quality where audio is concerned: the sound staging. Stereo width was respectable despite the earphones being tucked considerably deep within the ears, and there was a respectable amount of spreading between the individual elements of each track. Another plus was how they handled loud volumes, with minimal distortion when the sound was turned up high, doing much better than the Samsung IconX earphones I reviewed a while back (that pair distorted and clipped heavily at high volumes). All things considered, the Nivas in regards to sound quality definitely won’t appeal to audio elitists, but will be fine if you aren’t so picky about the sound quality. Be warned however, heavy bass-lovers might be put off by how much the treble can overpower the low ends and everything else. If I were to recommend the Sudio Nivas, I’d do so on the basis of them being a great-looking pair of earphones with an okay-ish sound quality, one that provides wearers with the convenience of mobility and a decent amount of battery life to boot. At RM425 a pair, the Sudio Niva earphones aren’t the most expensive pair out there (Apple’s AirPods go at RM849 on their official store), but it’s clear that the focus is towards being more of a good looking, convenient audio accessory that wearers can bring along with them wherever they go. Sound skews a bit too much towards the high-end, but will do alright if you’re not picky about audio quality. In the end, good looks and convenience are the main draws, and it does a fine job in those regards. The Sudio Niva earphones are available online at the official Sudio website, with free shipping via DHL provided on all orders worldwide. For a 15% discount, enter the code VULCANPOST15 at checkout.